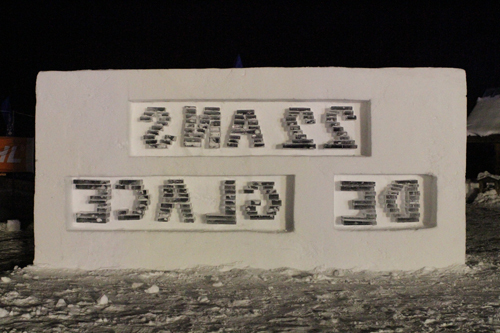 International ice sculpting Festival 2013, Jelgava, Latvia. 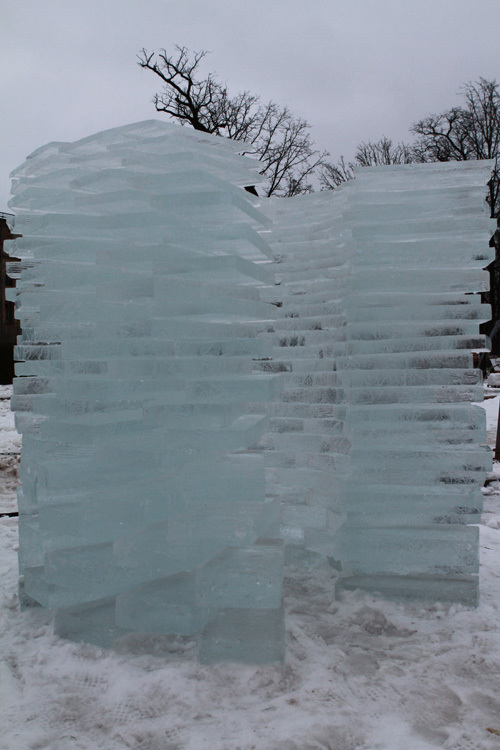 Participation in the international ice sculpting Festival 2013, in Jelgava, in Latvia. 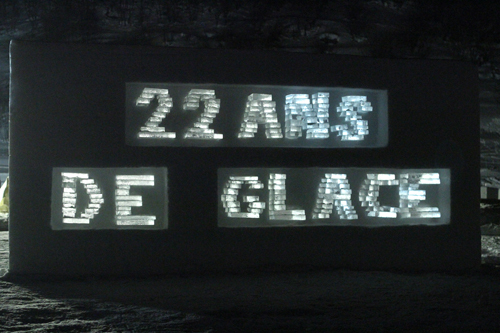 The very mild weather (0 degrées celsius, above and below) made us change the design on location. 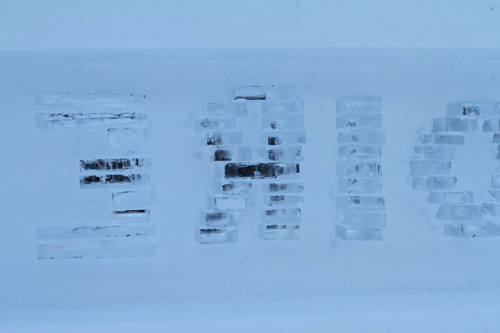 The ice wasn't really freezing together. 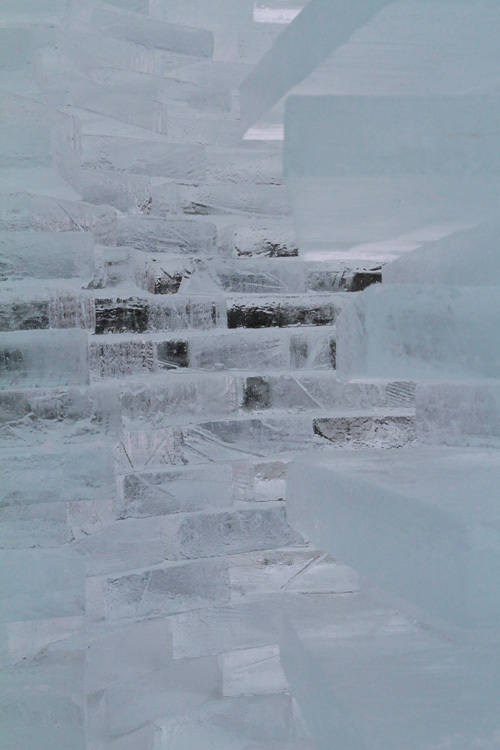 So the accumulation here is quite a game on balance and level of ice sheets. 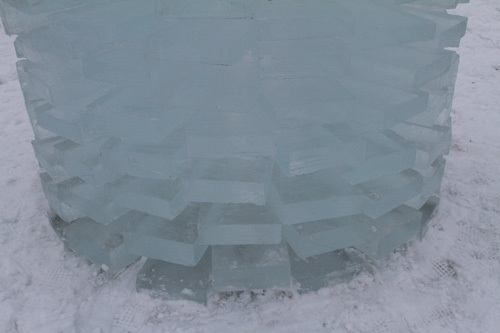 -Ice sculpting, team competition. 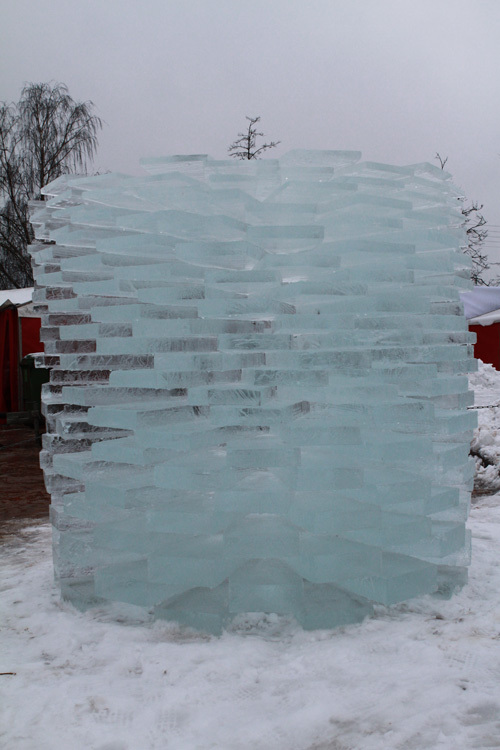 Sculpture "Torre". 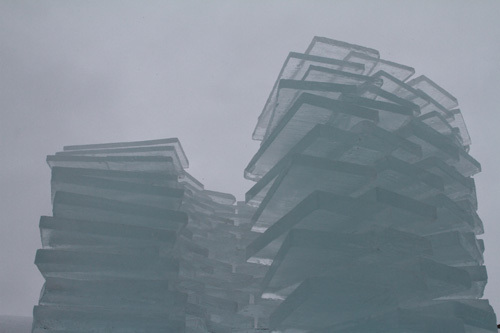 Scupture Designed by Eric Mutel & Franziska Agrawal: Torre. 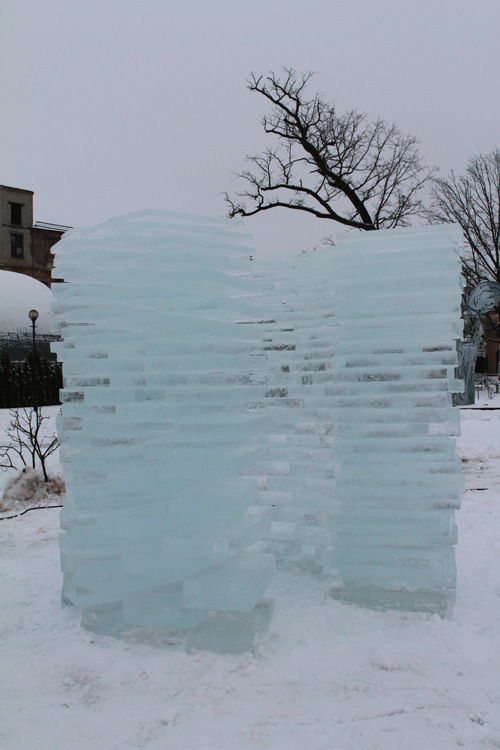 All photos by Eric Mutel. 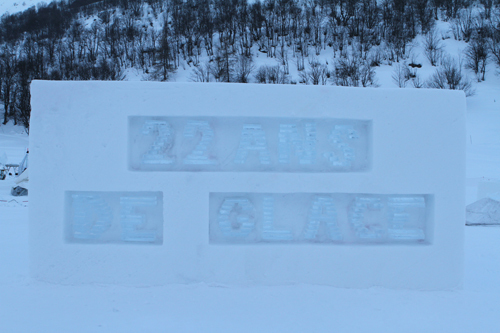 international ice sculpting festival 2013, Valloire, France. 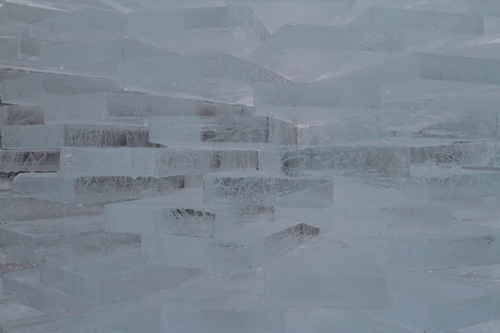 Realization of an ice and snow fresco / installation, ordered for the entrance of the ice sculpting festival arena in Valloire 2013. 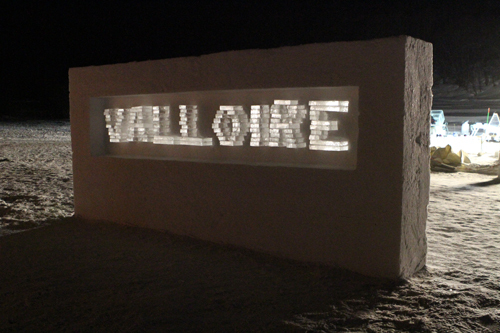 Festival was from 15th to 19th January, in Valloire, France. 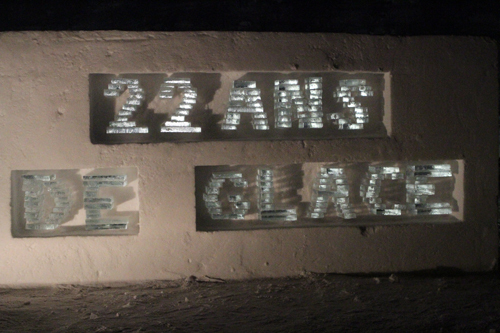 Since i won the 1st prize of jury for the ice sculpting festival 2012 in Valloire, i was proposed by the organized to realized the entrance fresco of the arena for the sculptor of the 2013 sculpting competition. 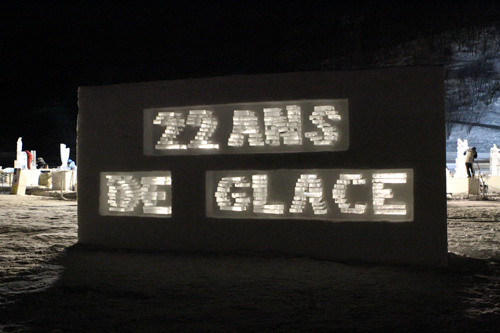 It was requested that the fresco is done with ice together with 2 walls of snow and there should be at least written, Valloire 22 years of ice. 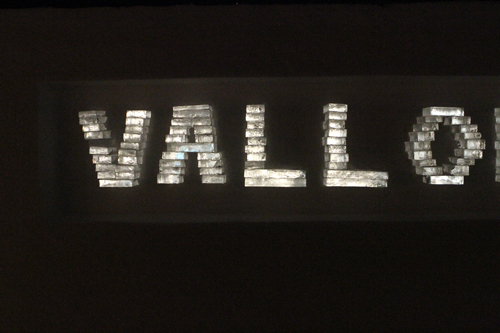 So i thought to work finally only with the lettering. 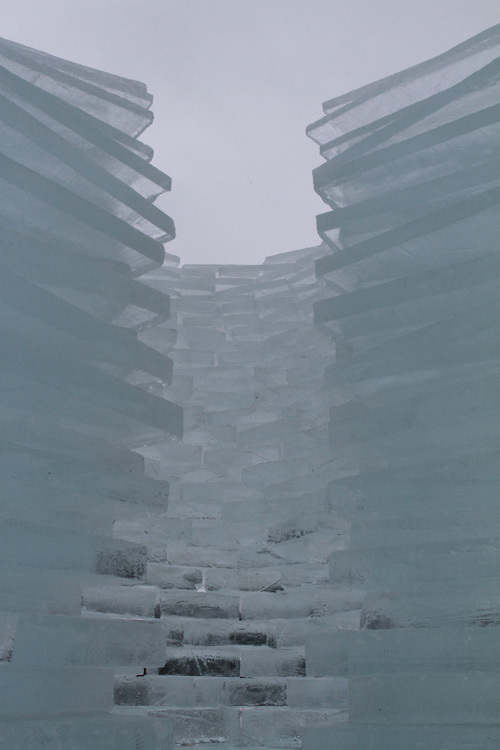 The walls got cut out on both side, giving some kind of frame in the wall on both side. 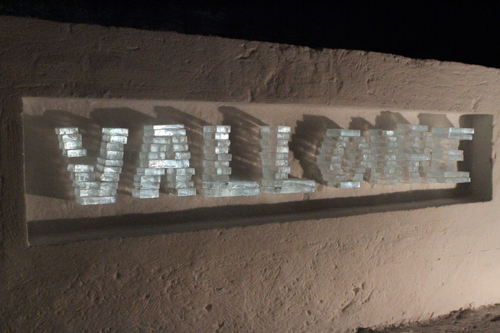 The letters were cut out in the left over of the wall in the center, and letters were made by accumulation of many thin plane of ice, layer by layer. 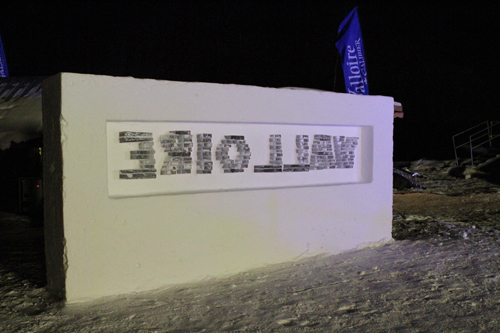 Text was then visible from both side, from arrival side in the correct reading way, on the exit way, inverse. 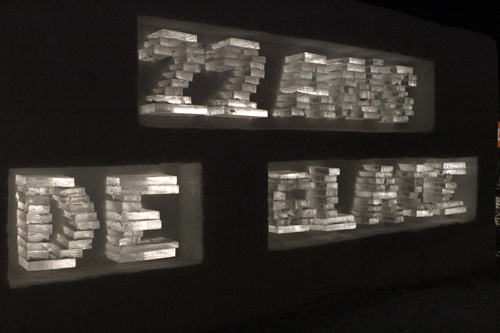 The main idea was that the letters, by the layering of plane of ice, going through the wall, will play with the light, and the many different layer of ice difracted the light, giving more relief to the letters. 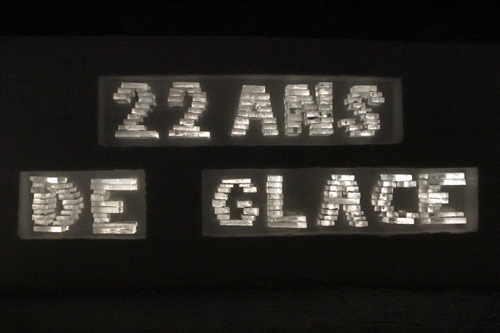 About 10 blocks of ice ( 100cm x 50cm x 25cm) were used to do all the lettering. 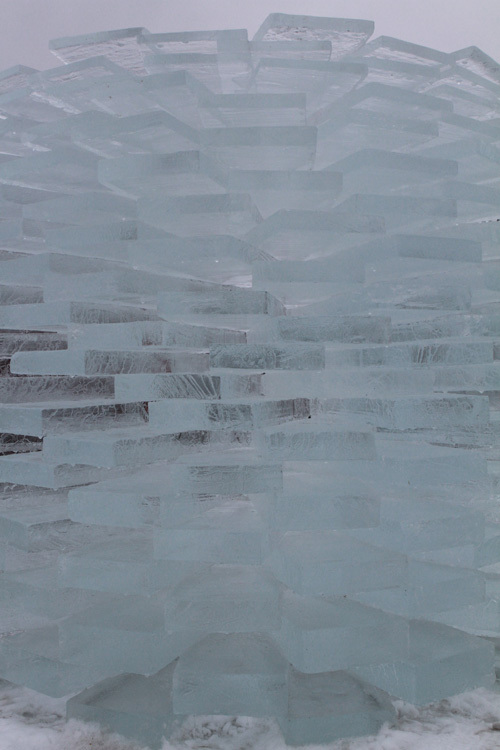 Design and realization: Eric Mutel.